The Price axis displays on the right-side of the chart. There are various ways to manipulate the Price axis. For example, you can expand and contract bars using left-mouse drag. Pressing the Spacebar re-centers the chart on the last traded price. 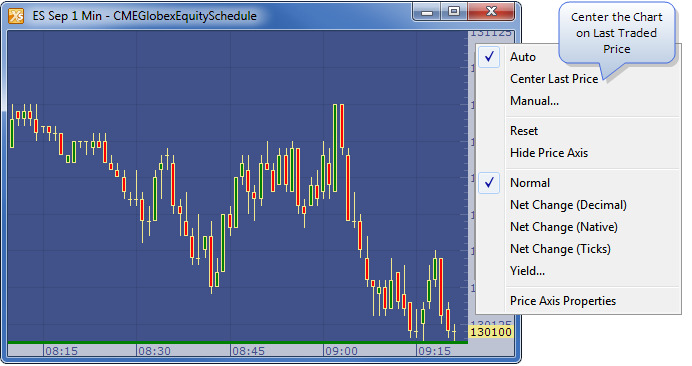 You can also center the Price axis using the Price axis right-click context menu. The Auto option allows you to automatically scale the Price axis. If at any time you do not like the scale of the Price axis, you may click Reset to reset the Price axis.